If you want to have great health, performance and aesthetics, you cannot eat out of a box. 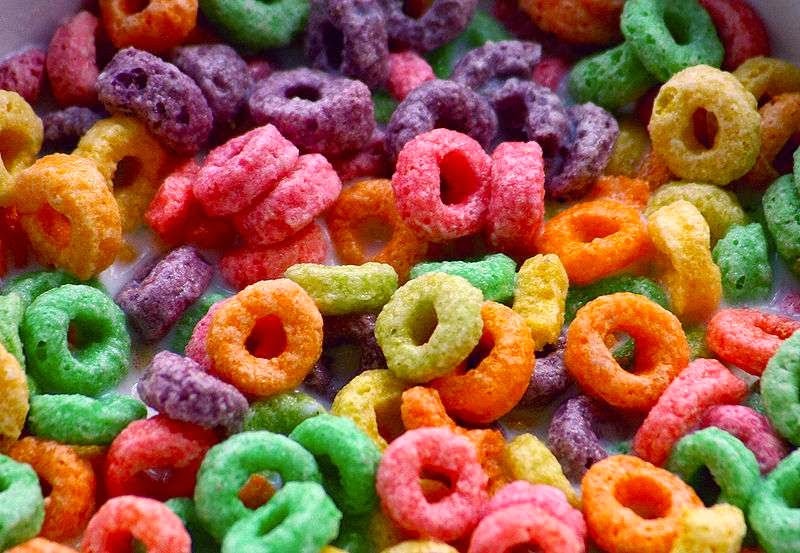 Despite what the cereal companies have been telling us for decades, processed, boxed cereal is not part of a complete breakfast (yes, some are better than others, but they are all still processed and almost all contain sugar). The purpose of this 52 Weeks to Better Nutrition and New You series is to help you make gradual, consistent changes to your nutrition. If you are still eating out of a box for breakfast, it is time for that to change. So what do you do for breakfast instead of cereal if you need the carbs? One good option is oatmeal. Not the instant stuff that is the brown sugar, maple fudge caramel flavor with marshmallows in it, but plain, simple, natural old fashioned, large-flake or steel cut oatmeal. 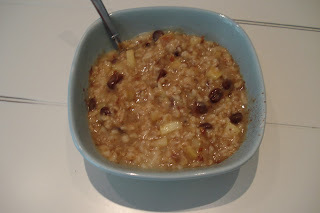 However problem with this is that plain oatmeal is bland, boring and nutritionally incomplete. If you need a high performance breakfast, here is how you can power-up your oatmeal! Note: I learned this recipe from my Brother in Law Darren who is an excellent cook. Add water and oats to a pot and bring to a boil. Then, reduce the heat and let it cook for about 5-15 minutes. While you are waiting, chop the nuts and fruit. If you still have time, get your food together for the day. While there is some low quality protein in the nuts and oats, (and a small amount of good protein in the hemp hearts in the third recipe), you want to add some quality protein source to this meal. One option is to simply add protein powder to the oatmeal (note: if you do this, you will want to add a little more water as well). Another fast option is to simply slam back some protein powder in water while you wait for the oatmeal to cook. Personally, I prefer to use scrambled eggs with spinach or a chicken breast with broccoli (I know that goes against breakfast tradition, but it is great once you get used to it). Milk or cottage cheese could also be used if you tolerate them well. Now that you know how to power-up your oatmeal, give these recipes a shot and let me know what you think. Also, feel free to share your favorite recipes in the comment section below. Grains have been a hot topic lately in the fitness and nutrition industry. Some our still touting the benefits of eating whole grains while others see grains a pure poison. So who is right? It does not really matter – what matters is what is right for you. Whole grains such as oatmeal can provide slow-digesting carbohydrates, essential vitamins and minerals and soluble fiber (which helps lower cholesterol). For athletes and hard-training fitness enthusiasts, whole grains also help with getting the required carbs and calories needed to fuel high-performance training. For others grains cause digestion problems, fatigue, fat gain and/or inflammation. If this is you, consider replace grains with other carbohydrates (e.g. fruit, potatoes, sweet potatoes). Another alternative is to replace commonly problematic grains (e.g. wheat, corn) with other alternatives (e.g. quinoa, wheat berries, barley, rice and oats) and see if you feel better with these. If you are unsure about how your body is responding to certain grains, try the 1-2 hour test. Bottom line: ditch foods that come from boxes and you will take a large step forward to improving your health, performance and body composition.